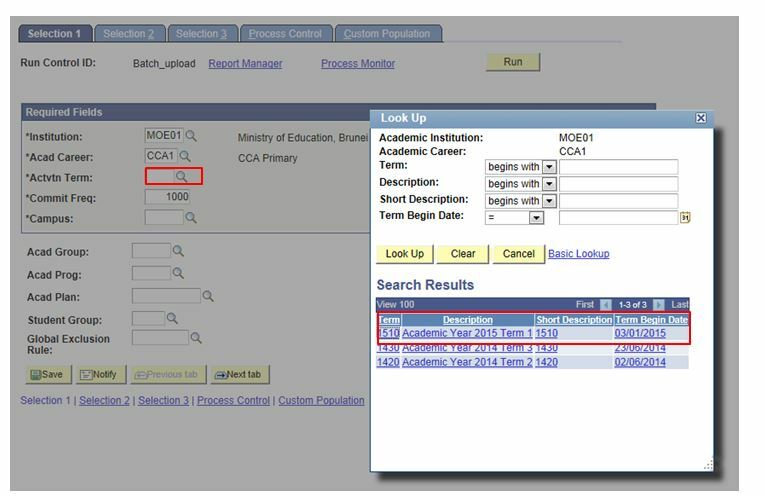 This function allows the users to term activate student CCA by individual or in batch (Group). 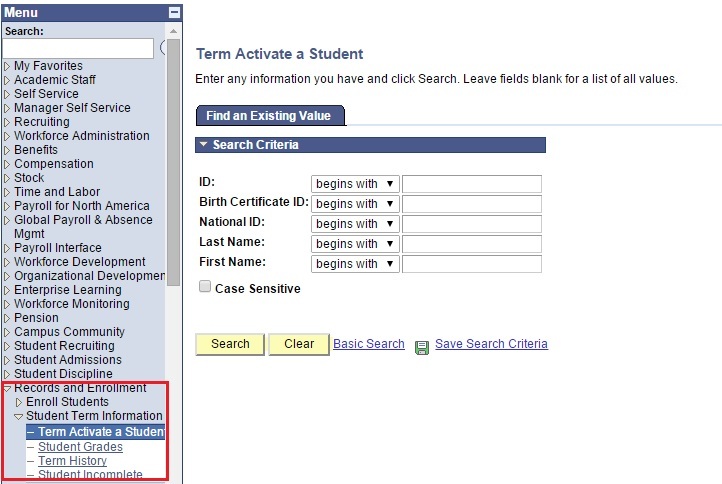 Enter Search parameter by entering the Birth Certificate ID, National ID, or ID (EMPLID). Click on the Search button. User will be directed to the Term Activation page. Navigate to the entry with CCA career. 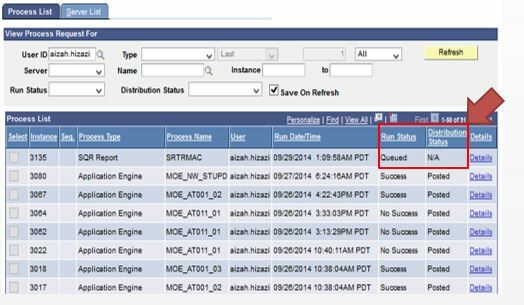 If there is existing data, click on the “+” button before making any changes. Click on the look-up button and select the Term. 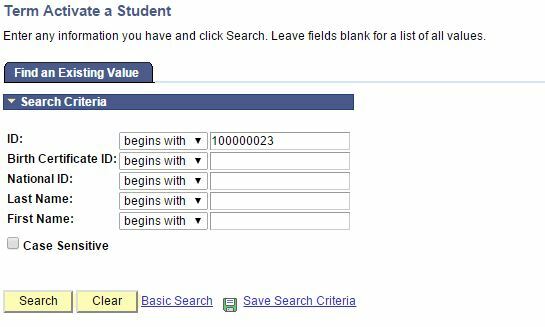 Check the Eligible to Enroll checkbox. 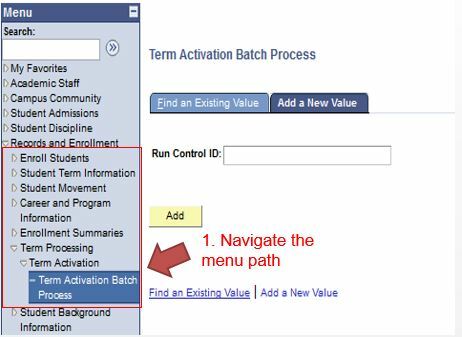 Navigate to Main Menu > Records and Enrollment > Term Processing > Term Activation > Term Activation Batch Process. Click on the Add a New Value tab. User will be directed to the Selection 1 page. 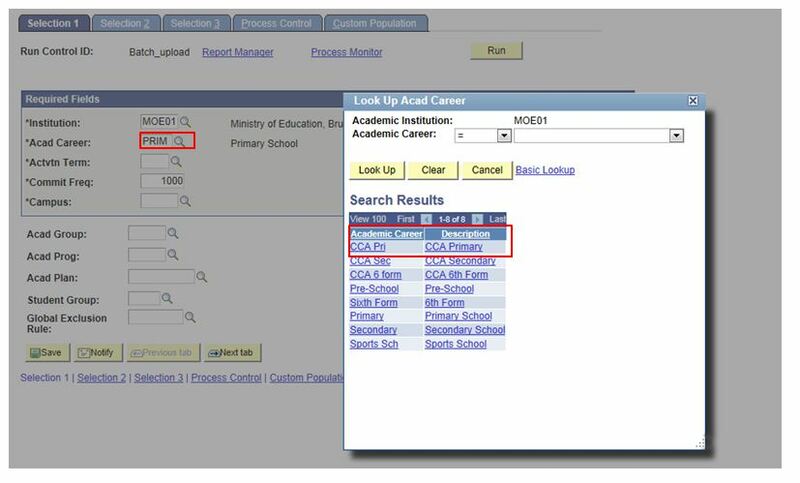 Click on the look-up button and select the Acad career. 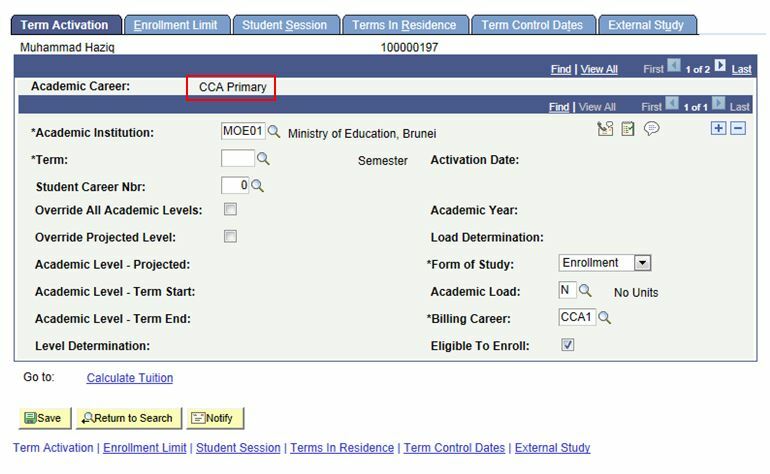 Acad career should be CCA related. 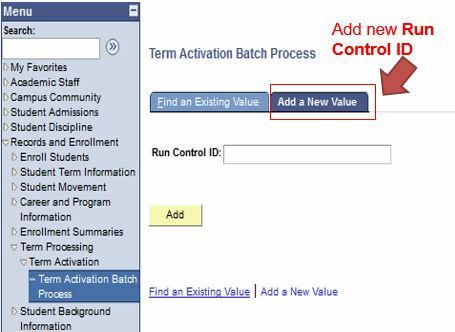 Click on the look-up button and select the Activation Term. 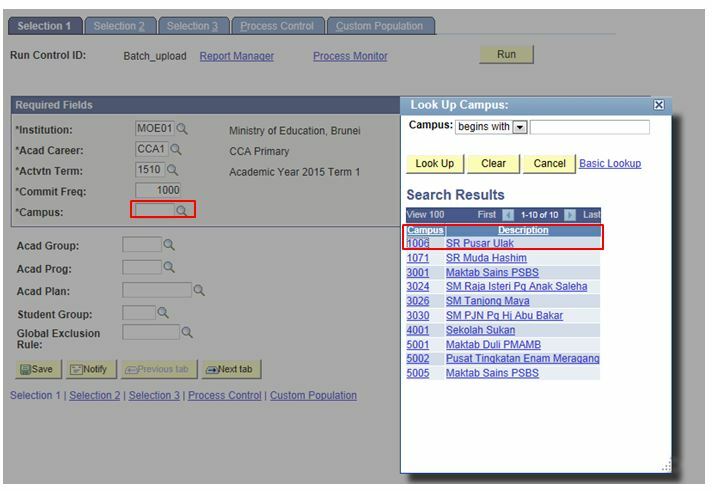 Click on the look-up button and select the Campus. 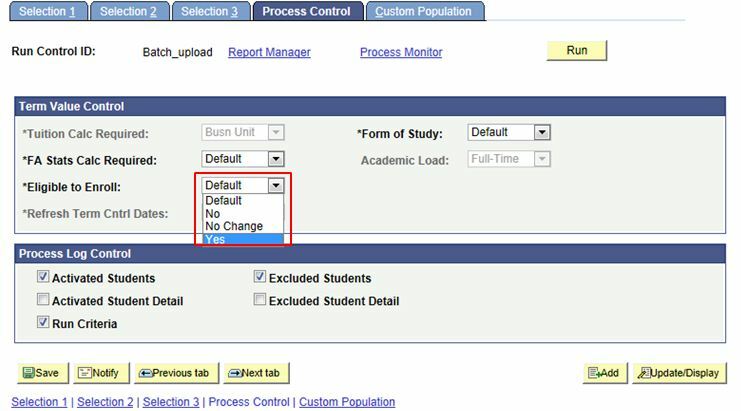 User should only be able to select their own Campus. 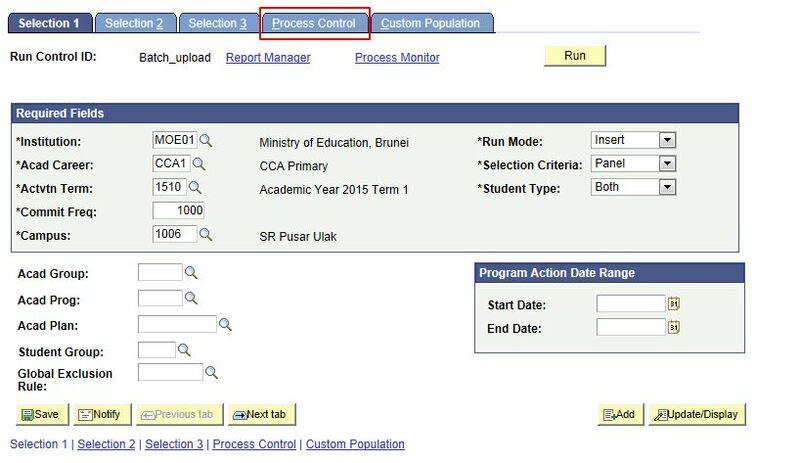 Click on the Process Control tab. 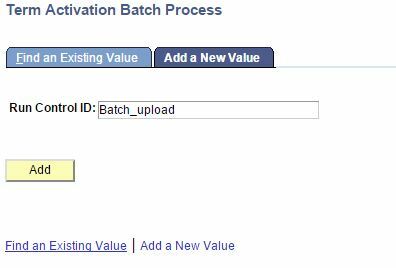 User will be directed to the Process Control page. 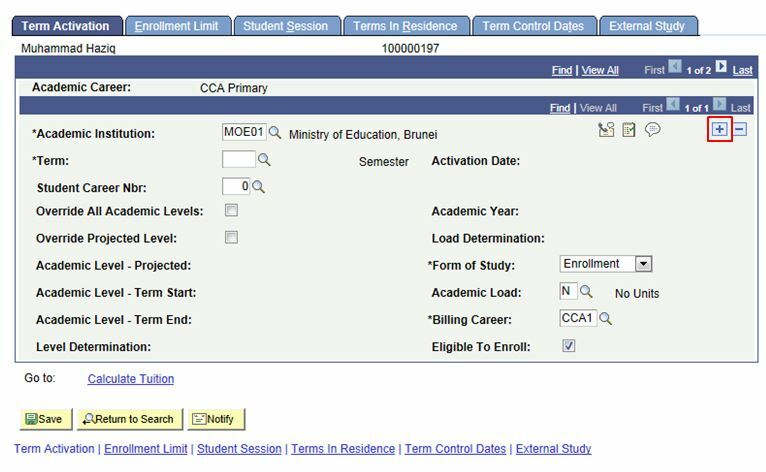 Click on the Eligible to Enroll dropdown list and select “Yes”. 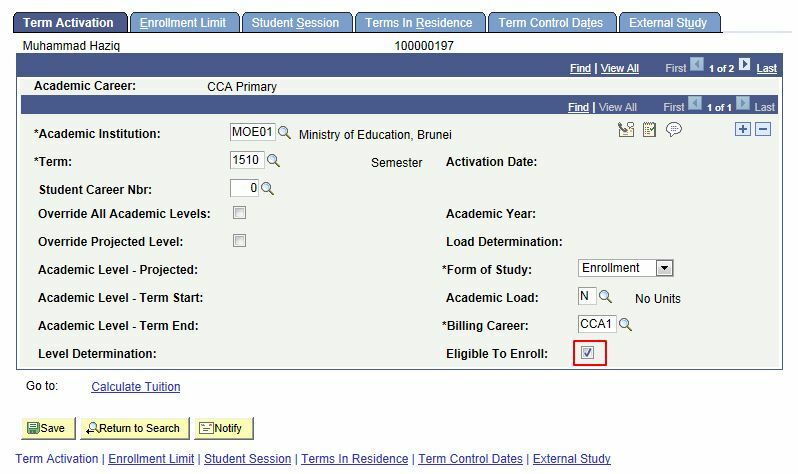 Click on the Run button to begin term activation. 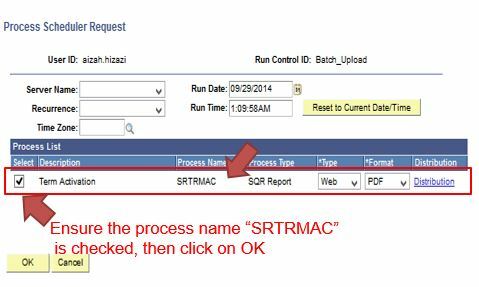 Ensure that the process name SRTRMAC in the Process Scheduler Request page is checked. 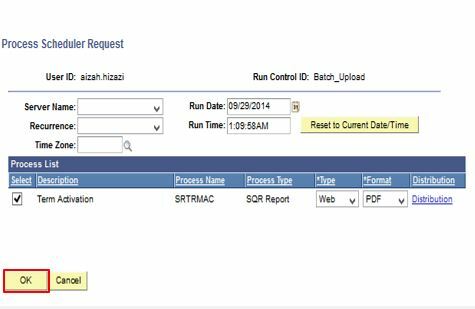 User will be directed back to the Process Control page. 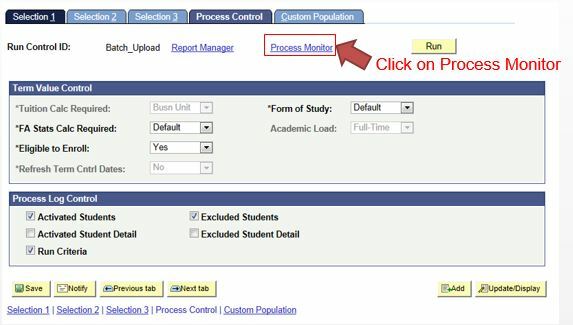 Click on the Process Monitor link. 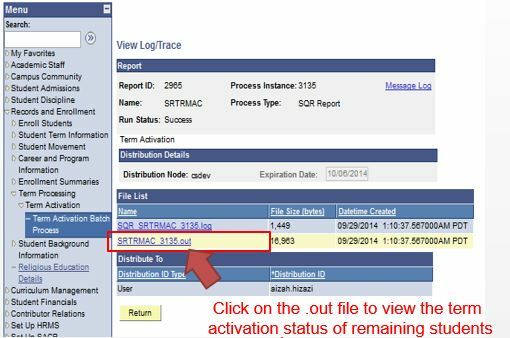 User will be directed to the Process List page and should be able to see that “Run Status: Queued and Distribution Status: N/A” for the process name SRTRMAC. 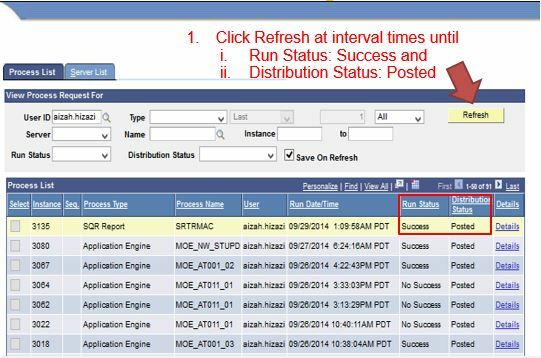 At interval times, click on the Refresh button until user sees the “Run Status: Success and Distribution Status: Posted”. Click on the Details link that is to the right of the process name SRTRMAC. 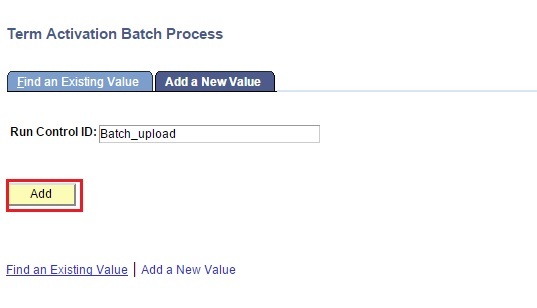 User will be directed to the Process Detail page. 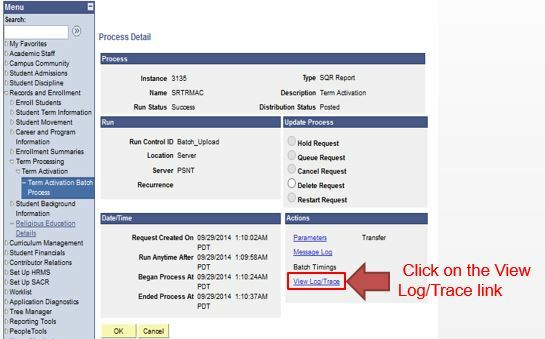 Click on the View Log/Trace link. 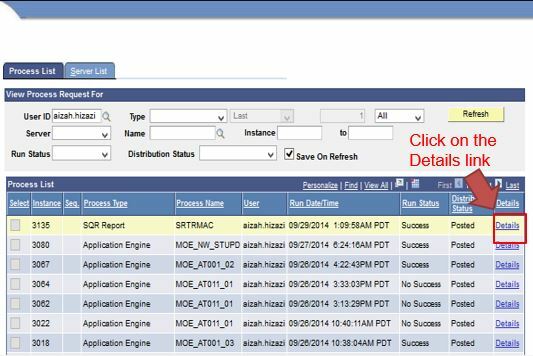 User will be directed to the View Log/Trace page. Click on the .out link to view the result of the upload. 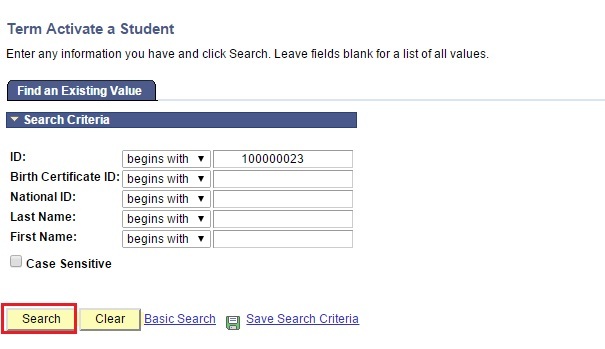 User will be directed to the Summary page where the List of the Activated Students, No. of Students Activated, No. of Students Updated, No. 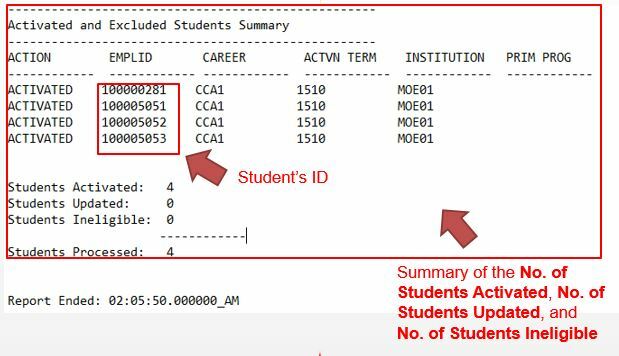 of Students Ineligible and Total no. 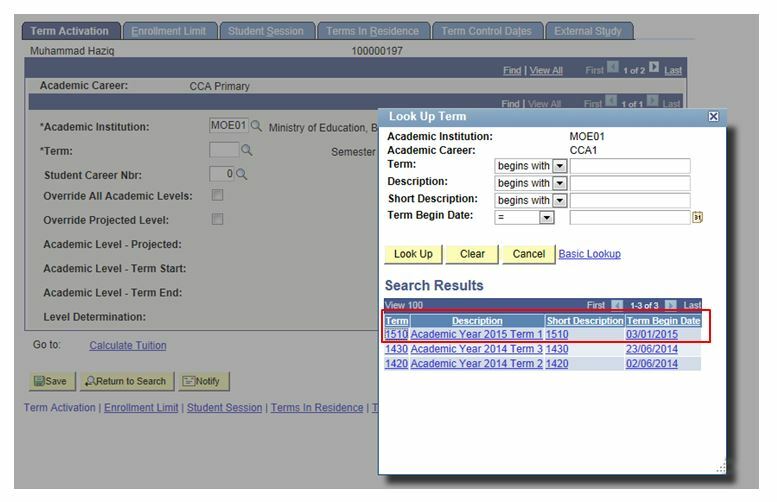 of Students Processed.